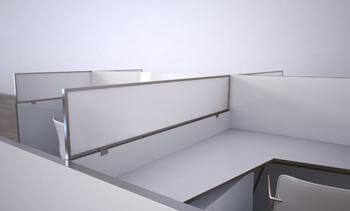 Mounts to existing cubicle walls to increase privacy and decrease noise levels. Great for low-wall cubicle layouts! 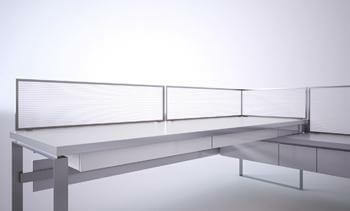 Mounts to virtually any desk with multiple bracket types. 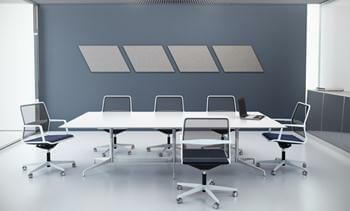 Great for increasing privacy in open office environments! 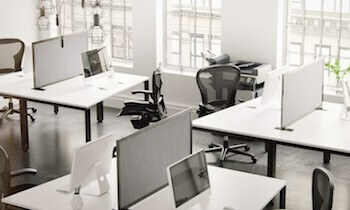 Mounts below the desk for increased privacy in open desks. 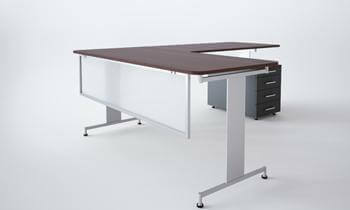 Great for reception areas and private offices. 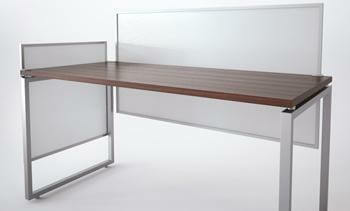 Combines the Desk & Table Privacy Panel with the Modesty Panel for the best of both worlds! Any shape, any color. Your tackboards should be as unique as your team! Sits on top of tables, desks or benches. No brackets or mounting required.